I've been in search for good products for my curly hair. I'm really glad that I've tried the Organix curling perfection, defining cream. It smells so good and keeps the wave frizz free! Thinking of switching to their shampoo and conditioner soon too. I have been eyeing on the quickstyle goody brush since I've read good reviews about it online. And finally got one in CVS. Not bad for $13. It usually takes me at least 15 minutes to dry my hair so hopefully this will help me. I'm so excited to use it. 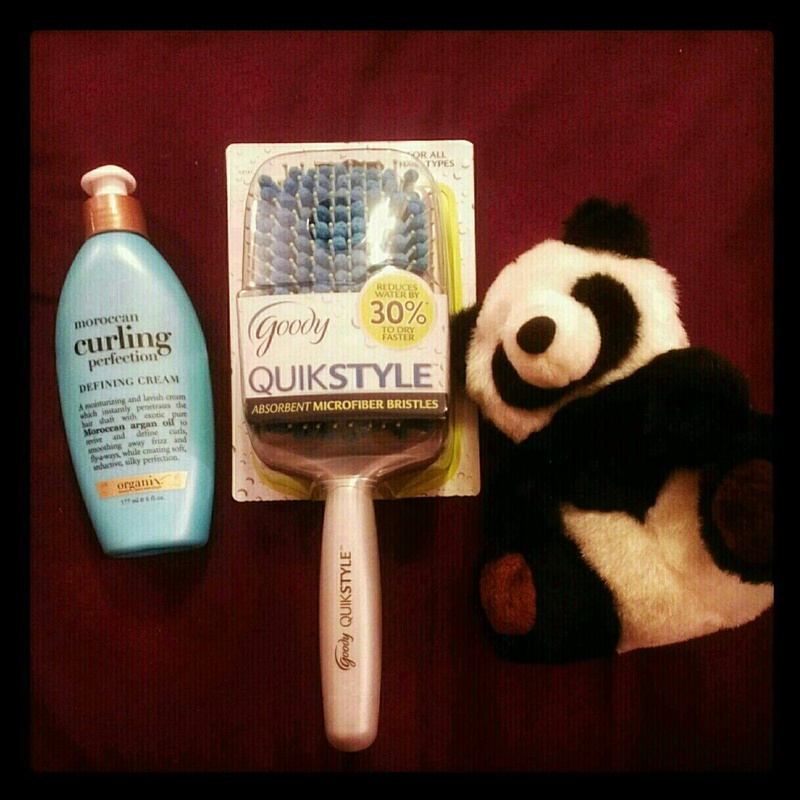 This combo will help me be away from those bad hair day!